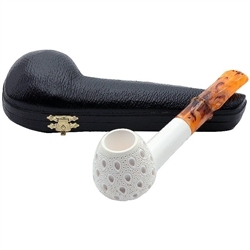 Hand Carved Lattice Straight Long Shank Meerschaum Pipe - What a very nice pipe for the tobacco smoker who likes a straight saddle stem. 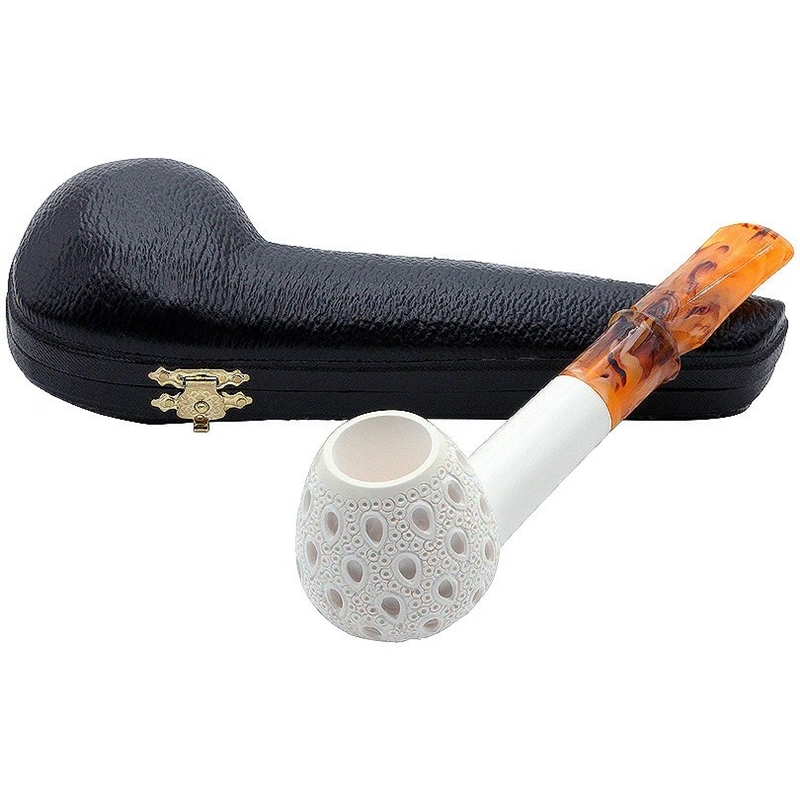 The bowl is carved in teardrop lattice meeting with a smooth long shank. 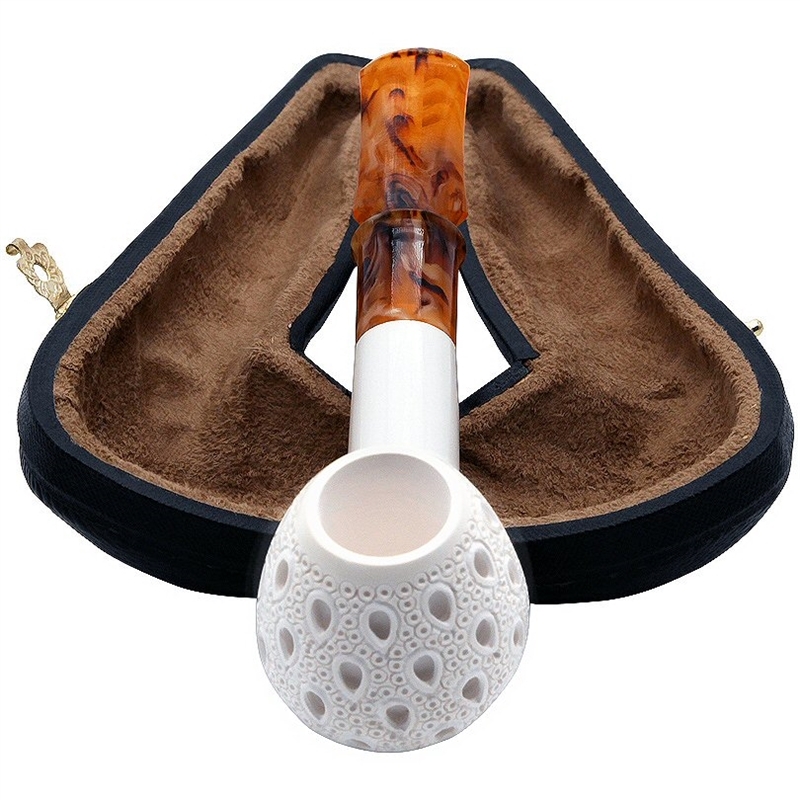 It also sits flat which is convenient when resting the pipe.